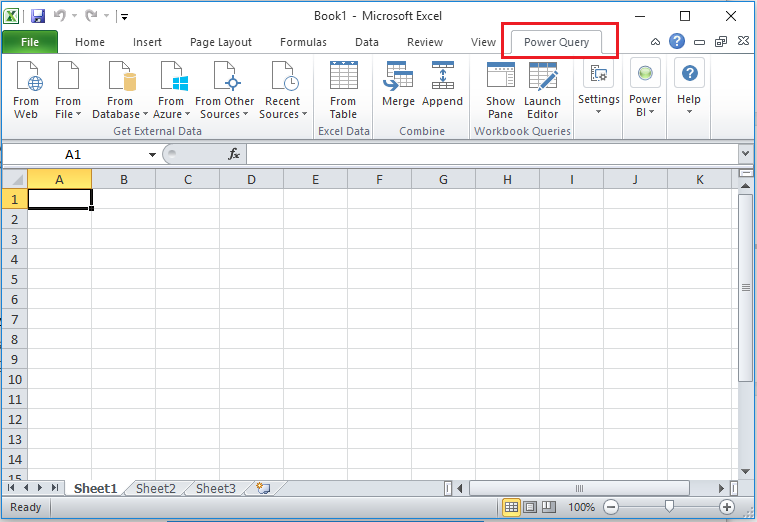 Before using MS Excel Power Query application, please make sure you have installed MS Excel Add-in named "Power Query". 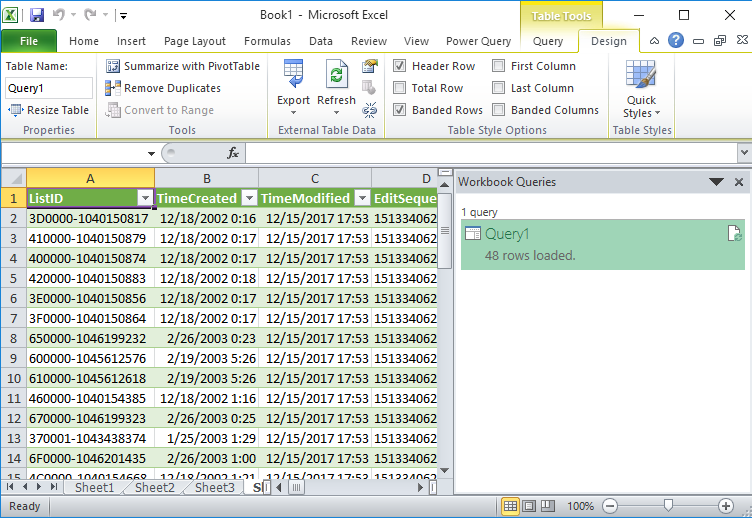 Please select Power Query Window. 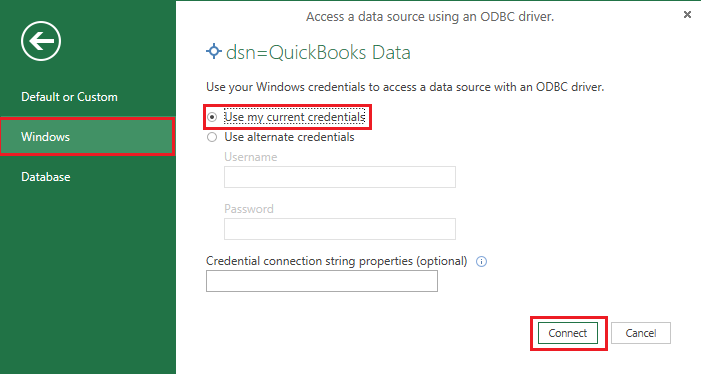 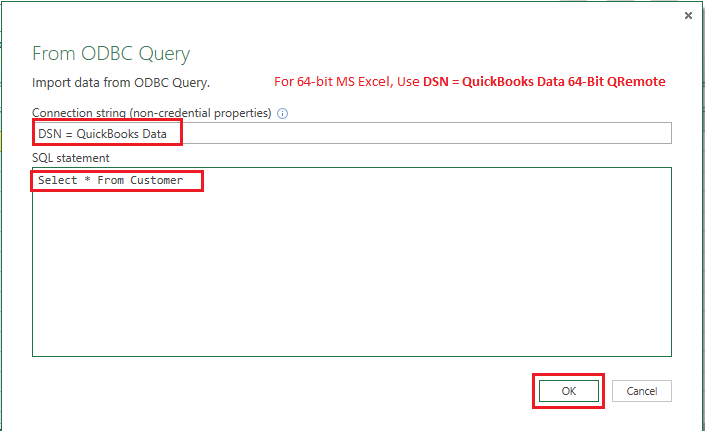 Please select the data input method via From Other Sources & click on From ODBC. 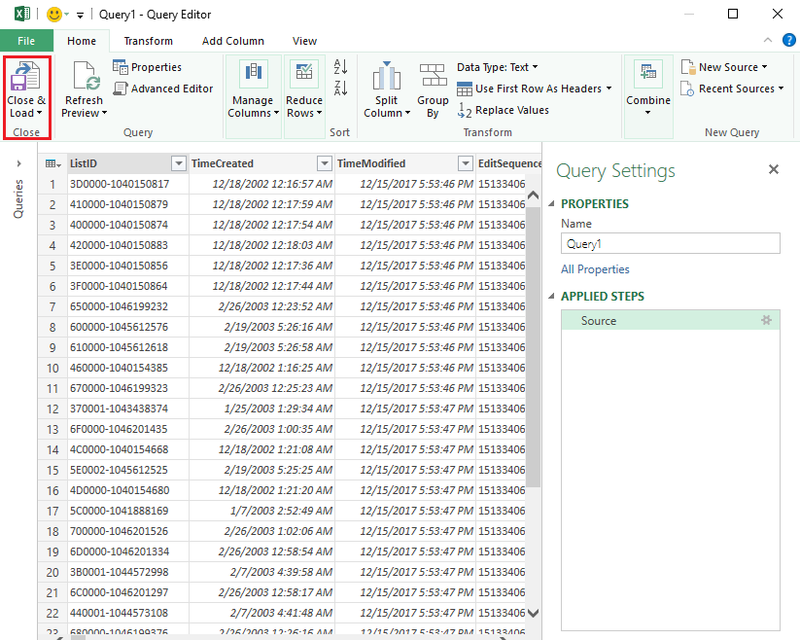 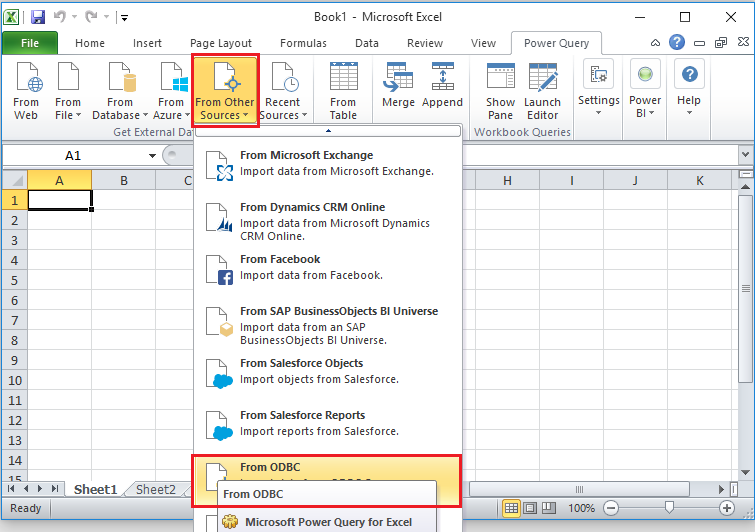 Now you will get data in Power Query, apply filter & other settings as per your requirement & click on "Close & Load" button.